Funding has been granted for a project to apply autonomous inspection systems with 3D visualisation technology to underwater energy company assets. 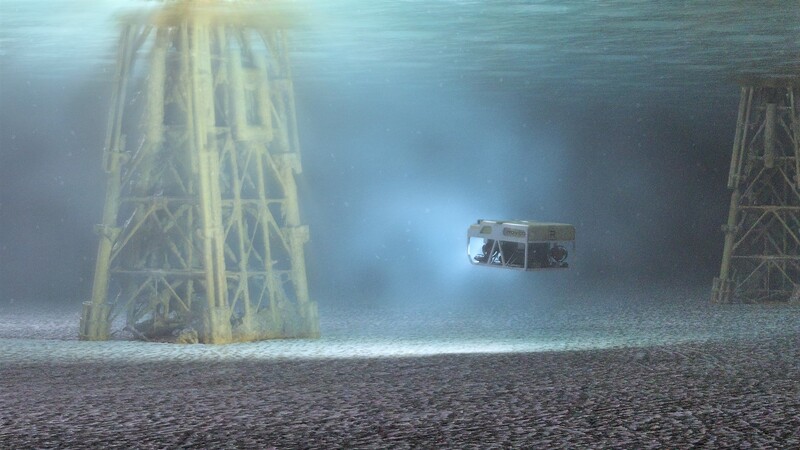 Subsea technology company Rovco has secured Innovate UK funding to develop a cutting-edge 3D visualisation system as part of a two-part Artificial Intelligence demonstrator project potentially worth £1m. Working in partnership with the Offshore Renewable Energy (ORE) Catapult, the first phase of the project will see Rovco develop the equipment and software required to produce live 3D data from challenging and extreme subsea environments. The technology will be trialled and tested at ORE Catapult’s renewable energy test facility in Blyth. Phase two will include the development of a complete 3D vision-based survey system using Artificial Intelligence (AI). The technology could reduce offshore inspection costs by up to 80%, exploiting recent advances in both camera technology and embedded graphic processing, while utilising small, intelligent, autonomous robotic vehicles. Once trialled and tested, Rovco believes the technology could revolutionise the way energy companies manage and inspect their subsea assets, potentially saving hundreds of millions of pounds in offshore inspection costs each year. The first phase of the project will be 70% supported by Innovate UK, and the remaining 30% will be funded by Rovco. The planned phase two is expected to be further backed by Innovate UK once technical feasibility is proven. This will see Rovco partner with an autonomous vehicle manufacturer and other innovative subsea companies. As one of the UK Government’s technology innovation and research centres for advancing wind, wave and tidal energy, ORE Catapult will provide access to its state-of-the-art marine energy testing facilities and will assist in the delivery of project outputs to a wide range of end users. Rovco chief executive and founder, Brian Allen, said: “We aim to deliver a step change in how offshore surveys are performed by generating live 3D data from survey-class ROVs to increase efficiencies, reduce costs and minimise risks. “Compared to traditional visual survey methods, 3D delivers precise measurements and reliable metrics for asset condition monitoring. Combining this with the use of AI to better analyse and understand subsea data, enhances asset integrity decisions and reduces the manpower required, while also speeding up project turnaround times. ORE Catapult’s wave and tidal sector specialist, Simon Cheeseman, said: “The UK is leading the world in the development of offshore wind farm subsea autonomous inspection technologies, and our role in this project clearly illustrates how our facilities in Blyth can be used to help develop autonomous systems for the offshore industry. This latest project follows Rovco’s previous Innovate UK funded study which successfully demonstrated the market need and overall feasibility for 3D models of subsea assets. Launched in September 2016, Rovco aims to become a leading ROV and AUV inspection company within the next three years, with expertise and capacity to carry out underwater inspection projects across the globe.